Sonic Forces, like Sonic Generations before it, combines classic and modern Sonic the Hedgehog style into one game. 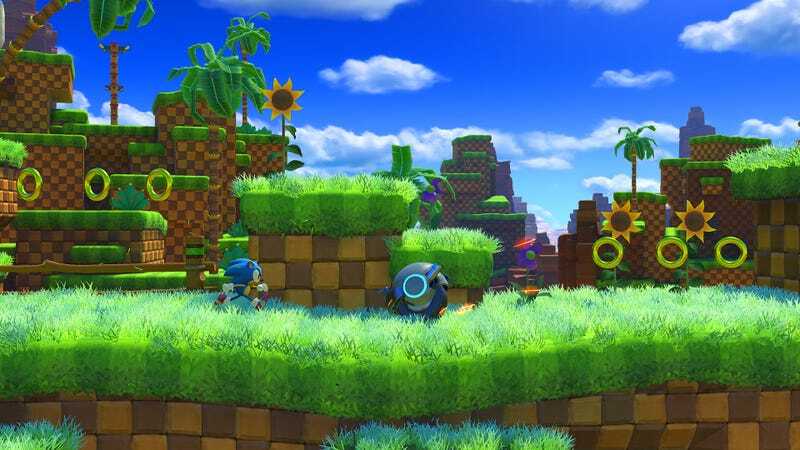 And where there is classic Sonic, there is the Green Hill Zone. This one’s not too shabby. We’ve seen a little bit of column B, now here’s a taste of column be in the clash of hedgehog timelines, due out this holiday season for PC, Xbox One, PlayStation 4 and Switch. Speed? Check. Catchy music? Check. Yes, I think this will do nicely, as long as they keep classic Sonic far away from underwater levels. No one ever liked the underwater levels.